Recently, Pathguy got a letter from WOTC, politely asking that he remove his 5E character generator and any other content that might be their IP. I’m not going to discuss that choice here; what WOTC did was legal, and there are boards aplenty debating the matter. Suffice it to say that what you can do legally and what you can do wisely do not always coincide. But it put to the question, do these generators really help the game, or do they remove us too far from the fundamentals? As it happened, I hadn’t visited this page in quite a while, but I was reminded of it as a tool to help level a 5E character. Pathguy’s generator was a great tool. When I found it was unavailable, I was forced to level up by hand. As it turned out, leveling by hand was very easy for 5E, although this is not always the case for all rules systems. It caused me to wonder how reliance on character generators for popular systems had shaped the quality of play from a GM perspective and from a player perspective. I’ve also come to understand that a group of committed players enjoying themselves will typically do about 75% of these; which is fine, as long as “have fun” is somewhere in there. It might be great for everyone to come prepared with a carefullly researched and crafted character, and it probably makes for a richer, deeper game, but realistically it just won’t always happen. To enjoy a game a player has to have an understanding of what they are doing. A character generator that removes that understanding inhibits enjoyment of the game by making the character mechanically incomprehensible for most play systems. A good build is useless without some knowledge of its implications, and inhibits having fun if it is mysterious and incomprehensible to the player. This player enjoys creating interesting characters, sometimes with unexpected traits. Some temper this so the character can be effective in the game world, and thus more involved in the story. For others, the reverse seems to be true: they start from a fairly blank slate and draw out the character from the actions taken during gameplay, laboring only to create one who will take effective actions. Still others go further to extremes, creating bizarre and often unplayable characters. There may very well be a graphing calculator or spreadsheet involved, because these folks enjoy the mathematical permutations and precise calculations of creating a character that is purpose-built. While personality and story is a factor, it is secondary to the build mechanic. I fall primarily into the first category myself. There’s a certain appeal, I’ll admit, to the Engineer, but I lost my love for that sort of endeavor years ago. You see, I spent a summer designing mecha upon mecha for a tabletop wargame called Battletech. But when the hour of completion neared, I began to realize that the GM had no intention of actually playing the simulation as a massive dropship game, sure to be a fight of epic proportions…oh, the glory that was not! He simply enjoyed, and assumed his players enjoyed, crafting the pieces. Even with the computers of the time (early 90’s) we could have done it faster, but we would have missed fretting over the small decisions of armor vs. weight v.s ammo capacity. Engineers enjoy the thrill of the build. Artists want to tell a story (efficacy coming in a distant second). Character Generators can facilitate quick and effective ends for the needs of both these player personalities as well as accommodating the needs and desires of the GM perspective, but only when used judiciously. Here’s what I think Pathguy did right: his character generator was fluid and helpful, and allowed you to “see” the rules as you went through the build process. It didn’t mask them or create copy pasta out of inputs, but walked you through the relevant choices and bypassed rules not related, but still allowed you to glance at them as you scrolled down. It encourages the player to consult the related rules and sourcebooks, rather than depend on an output charsheet note. A character generator needs to facilitate rather than inhibit an understanding of the rules; a helping hand rather than a crutch. “Artist” and “Engineer” must perform a balanced calculation to make a really good gaming experience, and GM’s and players must work together to really optimize the outcome. And the right generator is only one of many tools that helps the player and GM get there. Matt Orbach is a raconteur, an alchemist, a some-time magician and a noted character creator. He should always play a bard. 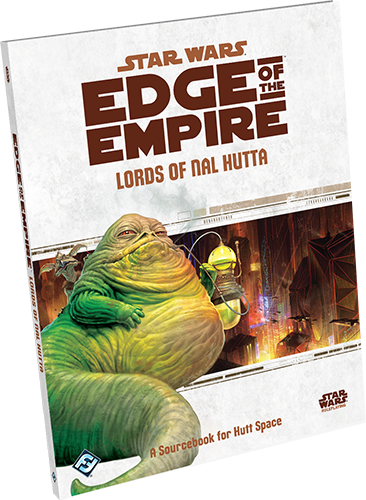 The Lords of Nal Hutta sourcebook for Hutt Space just came out for Star Wars: Edge of the Empire RPG. I’ve been eagerly anticipating this release, as one of the groups I play Star Wars with has repeatedly crossed the Hutts from the Beginner Box and the extension of that called The Long Arm of the Hutt, as well as their most recent adventures on Cloud City in Jewel of Yavin. 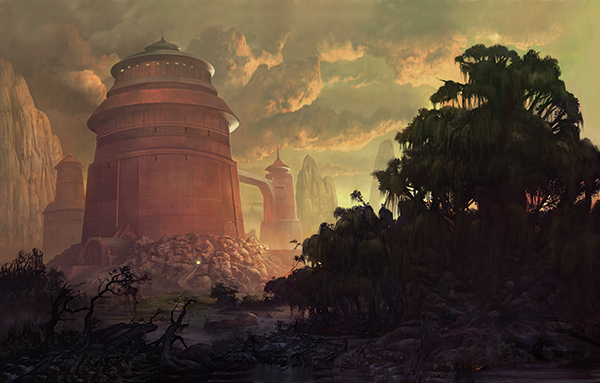 It only seems fitting that the campaign ends with taking the fight straight to the heart of Hutt space on Nar Shadaa, or maybe even a throne world. The first thing I noticed about this book was it’s heft. It felt a lot heavier than the typical profession sourcebooks, and sure enough, it weighs in at 144 pages compared to 96 for the professions. The only other sector sourcebook is Suns of Fortune for the Corellian sector, which follows the exact same format. 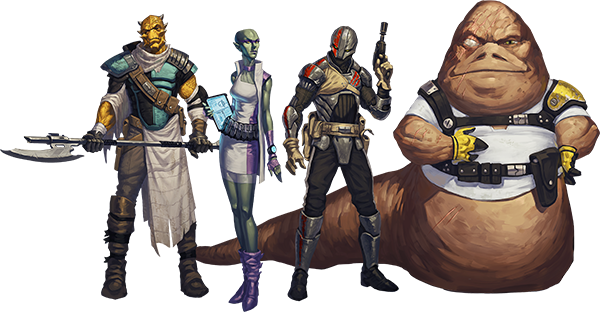 Four sections: History and background information, hyperspace maps and notable planets, new player options with new races and equipment, and finally modular encounters that the GM can drop in based on location. Some of the encounters are single scenes, others would be long enough for an entire session or two. To this day, Suns of Fortune is the Edge book I’ve used the least. I think this is for a variety of reasons. The new races and player options were not all that compelling with Selonians, Dralls, and Corellian Humans. With Corellia and the surrounding worlds being squarely in the Core Worlds, it didn’t seem to match what I feel is the aesthetic of *EDGE* of the Empire. Granted, Edge doesn’t have to be geographical as much as being on the fringes of established society, but to me it seems more true to form scratching out shady living on the notorious gangster moon of Nar Shadaa than it does racing or gambling on Corellia. Lords of Nal Hutta has likely benefited from years of development for the system. While it follows the exact same structure as Suns, both the player options and modular encounters are way more compelling. First off, let’s take a look at new races: Sakiyans, Niktos, Ganks, and Hutts. Yes, you can play as a Hutt. Sakiyans are lithe, intelligent hunters and trackers, and their homeworld is the home of the Assassin’s Guild. Niktos come in five different flavors: Red (desert), Green (forest), Mountain (Bluish-grey), Pale (ocean), and Southern. All have different special abilities based on the area they are from. Reds start with a rank in Resilience, Greens with Coordination, Mountains with Survival, and so forth. Ganks start with cybernetic enhancements, and while wookiepedia doesn’t back me up, it seems like General Grievous is a Gank. Militaristic and warlike, they often collect trophies from their victims, more cybernetics means greater prestige, they are always clad head to toe in high-tech battle armor. Sound like anyone from the movies? All of these options are interesting in their own way. I don’t think I would choose to play a Hutt myself, but it’s interesting that it’s an option. Just the options presented here would make an awesome gang. The modular encounters include a game of cat and mouse with Space Pirates, searching for spice-producing mushrooms on Toydaria, a marketplace shootout, a Hutt dinner turned gladiator match (of course), and finally a treasure hunt on a Hutt throne world. So much awesome adventure awaits! This book is fantastic, filled with awesome history and backstory of Hutts, their clans and Kajidics, as well as great player options and adventure seeds. If you like the central themes of Edge of the Empire, this book will not disappoint! When I realized the 5th Edition was built with a mind to accommodate classic concepts, I started thinking what I do when any edition of D&D comes out…. TEMPLE OF ELEMENTAL EVIL. I love this module, LOVE IT. When I was a kid I played it three times, read it cover to cover, and played it a few more times over the intervening years. I ran it for a group in college, and some variation of those characters and that group for 15 years. It, like the other classics of D&D (Slave Lords, Giants, and Demonweb Pits, to name a few) are amazing, iconic stories that are world defining. When I realized that quite a number of our local grognards had somehow missed the opportunity to play this classic, I knew it was time to see what 5th Edition Temple looked like. Conversion to a new system is always a crap shoot. There is always a temptation to convert straight over from the original, without considering the change in difficulty from older editions of the game to the new. Right now I’m in the early conversion stages (having converted over the Village of Homlett) with a tentative readiness to recalibrate everything after the first TPK. The problem for me is that 5th Edition is so new, and my experience with it so limited (Beginner Box and a couple of Adventurer’s League mods) that am not sure how powerful I can anticipate the players will be. I know that in the Beginner Box, they took on and defeated a monster or two that I would never have thought possible at that level in any other edition. 5th Edition has a way of letting half the party get knocked to negatives in any combat but suddenly be all up and triumphant by the end. It’s really confusing to plan around for a conversion and CR’s seem almost irrelevant. So far, I’m doing a straight conversion to what’s in the monster manual and waiting to see what happens. I anticipate things are going to become unhinged when they walk into their first room full of bugbears, as apparently 5E thinks very highly of bugbears. Very highly. But Temple was tough, and characters died. And that’s something that’s been missing from games for me lately… I’m a little worried death won’t even be a concern in 5th edition, but the Temple always seems to come through in that department, so for now I’m relaxing and seeing what happens. There are a number of encounters that I look forward to running that genuinely kicked the crap out of my characters every time we went through them, and I’m sure the first encounter most people remember from this series is the most deadly. I remember our cleric casting his two healing spells and limping back to town and sleeping for three days . Strange though it may sound, it’s exactly that kind of experience I want my players to have… Not the hopeless slaughter but the challenge and the peril and the overcoming of incredible obstacles. I want them to never think about a giant tick as being something to sneeze at. I want them to start carving up the bellies of each monster they find in the hope that there is hidden loot inside. I want the citizens of Homlett to come alive and become single name icons for a type of character or personality trait (‘Stop being such an Elmo’). Some of the oddball characters that can rise to the fore in a game like this can be surprising. A few bad guys became good guys in our campaign, and a few good guys became bad guys in others. Some nobodies became demi-gods (Gwyneth Lilburne, the Silver Stitch; Black Jay, the Patron Saint of Gnollish worship of St. Cuthbert….. yeah, that). I want it to breathe for them the way it breathes for me. 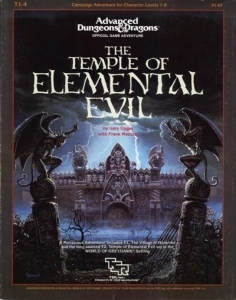 The thing about Temple of Elemental Evil is it is largely a sandbox. After playing Paizo’s adventure paths for years, it’s refreshing to play a sandbox game where you can really open up options to the players. I was surprised and amused when one player expressed slight concern that it was ‘too sandboxy’. I was puzzled that it could be a downside, but I think that kind of freedom can be a little daunting when you’re not used to it. I think after getting a taste of it, people are going to wonder why they ever did it any other way. However, I will say that I have a few fears and reservations. Going back over the module and reading the campy box text about seeking fame and fortune, I noticed that a lot of the memories that were in this mod were placed there by great GM’s and great players. Many towns folk are just named ‘Farmer’ and ‘Wainright’. Much of the rich story has been added in my brain, and the justifications elaborated on to the point where memory greatly surpasses the actual published text. What if you can’t go home again? What if you can’t go back to Homlett? There’s a legitimate fear there, that maybe this module doesn’t stand up to the test of time, that others might not appreciate it for what it is. Maybe my low standards and youthful enthusiasm made up for a lot of shortcomings that my older self won’t enjoy. My feeling is it will prove itself, but there is that fear. Wizard’s announcement that the Temple of Elemental Evil was going to be a feature of this season’s campaign theme strikes me both as a sign of the merits of this series and also as a maybe an unwelcome travelling companion on this journey. If they redo it, what will it be like? Will it distract from, enhance, mitigate or overdevelop elements of my story, the old module, the known universe? Will it be set in my beloved Greyhawk? What will it do? Temple has been a known quantity for over 20 years. Changing the mythos tempts fate. Maybe they do it right, maybe not. My understanding is that the new material is different than the Temple itelf Maybe that falls in line… complimenting, not changing. While this blog post is about the why of starting up Temple, future ones will be the how. Look back for conversion tips from the Village of Homlett under the category Elemental Evil. I’d post more now but Wednesday, we head for the Moathouse! Last night several of us played the module Crypt of the Everflame as part of the new Core Campaign mode of Pathfinder Society Organized Play. Here’s a summary of what happened (without spoilers) and what I thought of it all. All the party members were newly-minted 1st level characters without a scenario under their belt. 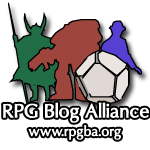 Four players have played extensively in Pathfinder Society and one is relatively new to the Pathfinder Role-Playing Game itself. Having played this module before, I knew what to expect but I did not give away any hints or anything for the others that had not. We were extremely deficient in the healing arts and had an extended stay (2-3 days) in the crypt after just barely setting foot inside. We used the Treat Deadly Wounds section of the Heal skill; something I have never even thought, or had, to use before. The sorcerer had a Healing Kit and used it quite effectively. The fighters smashed through everything they were able to connect with (player cold dice) and the rogue dealt admirable damage with his falchion/sneak attack combo. Unfortunately, that usually put him in the sight of the enemies and he took the punishment accordingly (GM hot dice). Besides being the primary healer, the sorcerer plugged away with burning hands and magic missiles. As the cleric, I spent most of my time trying out the different abilities of this cleric build (negative channel, hand of the acolyte, burning hands, fire-bolt and command undead) to see what worked and what did not. It was neat to be able to take control of skeletons and turn them against their buddies and having my heavy mace fly from my hand to strike an enemy was thematically cool. I will say that we had fun with the role-playing aspect of this session. The fighters played to their weaknesses (low intelligence) with the sorcerer providing encouragement to them while the half-orcs had to overcome some racial bias from villagers. The cleric found past contracts between Asmodeus and the undead that allowed him to command them so easily. At lower levels the Core Campaign is tougher without all of the extra options that players take for granted, especially if your party is not balanced regarding classes. As characters advance in level, they will need to diversify their abilities and equipment as best they can but will definitely learn to lean more heavily on other members of the party for support. I feel this will take Pathfinder Society Organized Play in a slightly different direction as heroics will become group stories instead of individual derring-do. The learning curve will be steep and may cost many Pathfinder agents their lives, but it will be worth it in the end. Read last week’s Article about the Core Campaign.